The PhD Program in Anthropology provides doctoral training in each of the discipline’s subfields: cultural anthropology, archaeology, physical anthropology, and linguistic anthropology. The program is committed to excellence in training its students for careers in research and teaching, as well as non-academic fields. In addition to course work, students have opportunities for early fieldwork experience through faculty directed practicums and summer research funding. With close faculty guidance, students in the Program receive outside funding for their research at an exceptionally high rate. Funding agencies have included the National Science Foundation, the Wenner-Gren Foundation, Fulbright-Hays, Social Science Research Council, L.S.B. Leakey Foundation, IREX, International Fund for Animal Welfare, The Open Society Institute, CARE Archaeology Foundation, Ford Foundation – U.S. Community Forestry Research, Foreign Languages and Areas Studies (FLAS), American Museum of Natural History, Kellogg Foundation, Jewish Foundation for the Education of Women, and Social Sciences and Humanities Research Council – Canada, among others. CUNY anthropology counts more winners of the distinguished MacArthur “genius” award among its alumni than any other anthropology department save the University of Chicago. Three alumni thus far have won this award. Most students also acquire significant undergraduate teaching experience at the various colleges of the CUNY system and other colleges in the area while completing their degrees. The four-field requirement, together with these exceptional opportunities for fieldwork and teaching experience, provide CUNY anthropology graduates with credentials not commonly available from other doctoral programs. Through CUNY’s consortial arrangement with other institutions in New York City, doctoral students can take courses at Fordham, New York University, the New School for Social Research, and Columbia University. In pursuing their research, they are also able to take advantage of the great diversity of the city itself, and tap its rich resources, from the New York Public Library to the American Museum of Natural History and the Wildlife Conservation Society. The PhD Program is committed to encouraging diversity among its students, as well as applications from minorities. Enrollment of students of African and Hispanic/Latin descent remains well above the national average. New York Consortium in Evolutionary Primatology (NYCEP) The New York Consortium in Evolutionary Primatology (NYCEP) is an integrated graduate training and research program in primate behavioral and evolutionary biology, funded by an NSF training grant. NYCEP involves faculty from the City University of New York, Columbia University, and New York University and selected staff of the American Museum of Natural History and the Wildlife Conservation Society. This unique consortium links a group of over thirty evolutionary biologists in New York City whose research focuses on human as well as nonhuman primates from the perspectives of morphology, paleontology, systematics, molecular and population genetics, behavior and ecology, and conservation biology. Students in the PhD Program in Anthropology benefit from several interdisciplinary centers, academic concentrations, and certificate programs at the CUNY Graduate Center. Interdisciplinary concentrations include: Cultural Studies; Health, Society and the City; Language in Context; Latin American and Caribbean Studies; and Public Policy and Urban Studies. Certificate Programs are available in Women’s Studies and American Studies. In addition, many research centers provide a nexus for students interested in Lesbian and Gay Studies (CLAGS is the first such research center in the United States), Western Hemisphere Affairs (The Bildner Center), Jewish Studies, Studies of the European Union, and Research on the African Diaspora in the Americas and the Caribbean, among others. A minimum of 60 credits of approved course work is required for a PhD in Anthropology. The student’s course of study must be designed in consultation with an advisor assigned by the Executive Officer. The first level provides grounding in general anthropology, theory, and the basic concepts and methods of the student’s subfield. At the second level, students pursue advanced work within the subfield, selected from the broad range of specialties represented on the faculty. The third level, after completion of 60 credits, is devoted to research for the dissertation. All students are required to complete one core course or similar basic work in each of the subfields other than their own before the completion of 45 credits. Students who have a strong background may be exempted from part or all of the requirement. At least 15 credits of advanced level seminars or courses are required, unless exempted by the Executive Officer. In cultural anthropology, students are also required to take two area courses. First Examination: The First Examination, a general qualifying examination in the student’s subfield, consists of a six-hour written portion and a one-hour oral portion with the examining committee, and includes a general evaluation of the student’s progress in the program. The student will normally take the First Examination in the semester following completion of 24 credits, although an extension may be granted by the Executive Officer to no later than the semester following the one in which the student is registered for the 36th credit. Students may elect to take a First Examination that combines two or more subfields. All students are required to take the First Examination. Language Requirement: The student must demonstrate a reading knowledge of one foreign language appropriate to his or her field of specialization. The foreign language examination must be passed before the student is advanced to candidacy. Statistics Requirement: For archaeology and physical anthropology, one course in statistics, to be approved by the student’s advisor and the Executive Officer, must be completed with a grade of B or better. Students in linguistic anthropology may present a second language (which may be a field language) instead of statistics. In cultural anthropology, students may take a research methods course in lieu of statistics. Second Examination: The Second Examination is an oral examination in which the student must demonstrate thorough knowledge of two areas of specialization within the subfield, generally one topical and one area specialty. Normally the Second Examination takes place upon completion of 60 credits. A three-member faculty advisory committee is appointed to assist the student in preparing for the Second Examination, which includes the preparation of selective bibliographies for the two specialties. One additional faculty member is appointed to the committee for the actual examination. Research Proposal: With the assistance of the advisory committee, the student prepares a research proposal setting forth the proposed dissertation research. The proposal must be defended before the committee for the Second Examination, usually at the time of the examination or within three months after the specialities portion is taken. Upon completion of all the above requirements, including approval of the research proposal by the examining committee, the student will be advanced to doctoral candidacy. Dissertation: The candidate must write a dissertation on an approved subject, under the supervision of a dissertation committee composed of the student’s principal advisor, two other faculty members, and an outside reader. Approval by a majority of the committee constitutes successful completion of the dissertation requirement. Detailed descriptions of various aspects of the Program, including structure, governance and the course of study, are provided in the Program Handbook. 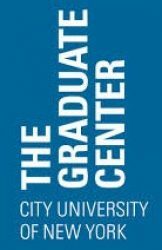 It serves as the resource of record for most questions regarding the program and supplements the more general information contained in both the Bulletin of the Graduate Center of the City University of New York, (especially that which appears in the section designated “Anthropology”), and the Graduate Center Student Handbook. Ideas for making the Program Handbook more useful, as well as suggestions for changes in program policy or practice described therein, should be directed to the Executive Officer or to the relevant committee.